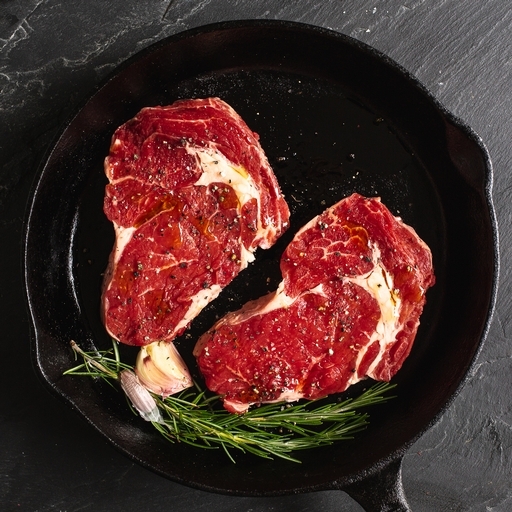 Organic rib eye steak, prepared in our Riverford butchery. Rib eye is our butchers’ beef cut of choice. Thanks to its generous marbling, it bastes naturally as it cooks, for a wonderfully succulent, juicy flavour. Griddle, grill or fry in minutes, for a really special but ultra-quick meal. Approximately 2 beef rib eye steaks per pack.